Join us under the big top for a unique evening of food and fun! Begin with a wine and hors d’oeuvres reception. The evening will continue with dinner and entertainment in the pavilion tent. 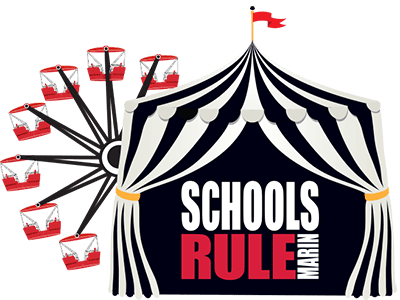 All proceeds from the event benefit SchoolsRule-Marin, a coalition of all Marin’s public school foundations working in partnership with the Marin County Office of Education to benefit every public school student in the county. Funds are used for programs supporting the arts, literacy, technology and health. The Marin Community Foundation is proud to be a part of this countywide coalition of schools, businesses and families in support of excellence and equality for all Marin students.